2019 Napolcom Entrance and Promotional Exam Coverage, Test Centers - Exam News, Reviewer, Military Career, & Everything [MN] . . 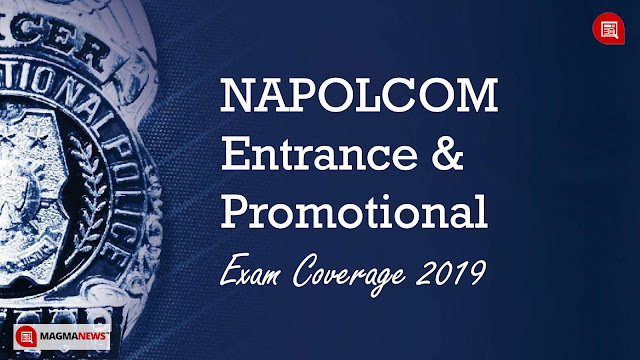 The National Police Commission (NAPOLCOM) has bared the upcoming PNP entrance and promotional examinations for April 2019. Information regarding the date of exam, and schedule of online filing including the qualification standards, exam coverage, test centers, and instructions are posted below for reference. The National Police Commission two sets of police examinations twice a year, one for those who are already in the police service (promotional), and another for those aspiring to enter the Philippine National Police (PNP entrance exam).